After four days of sickness, two of which are simply a gnarly blur of history, I am feeling human again. Gone are the dry cough, watery eyes, aching muscles, congestion, and misery. 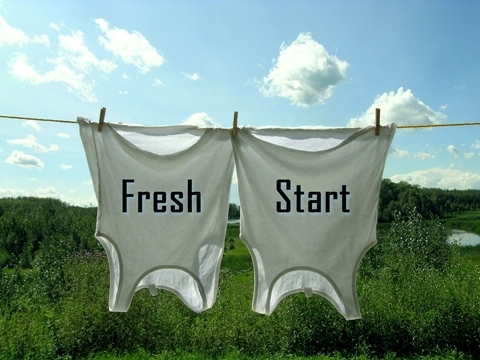 It feels like I have a fresh start on life… again! Yes, recovery is an incredible thing. While I feel pretty darn good, I still don’t feel 100%! I know that while I really want to go out and run a few miles, I know my body still isn’t quite ready for it and that I need to ease back into life’s hustle and bustle. Adding a bit of stress to my recovery is that fact I am currently on vacation from work. While I had intended to spend a good part of a week in northern New Mexico, the flu has prevented me from doing so. My vacation isn’t getting any longer and I have already paid for my airfare. It’s like the stress of having to go on this trip is deflating my enthusiasm for it. You ever felt the pressure to go out and have a good time so bad, that you hate the very thought of itself? hmmm…. Take it easy. You feel like crap because your body needs to rebuild, so let it. Avoid others as much as possible. The flu and cold are highly contagious diseases, so keep your co-workers and roommates happy by locking yourself in your room. If you need something, ask someone else to go to the store. Let your roommate get that cold medicine and extra cans of chicken soup for you. Eat lots of chicken soup. Believe it or not, chicken soup actually helps the body recover: 1) by eating soup your body can use more energy to fight the flu/cold instead of digesting solid food and 2) its liquid and will help keep you hydrated. Nutrition is always important! Take this downtime to think through some things that may have been bothering you. You might be physically exhausted, but your mind still works fairly well. When I get sick, I make it a game to think through outlines and approaches to projects and problems I’ve had on my mind lately. Before you know it, you’ve accomplished a few things while miserably stuck in bed. Take a day to sort out your house/room/car. Organizing, clearing the clutter, and cleaning is a great way to allow yourself to be more active while being productive while your body continues to recover. Once fully recovered, take your roommates out for a beer. If you are anything like me when I get sick (Oscar the Grouch! ), you aren’t the most p/c nor do you ask for things in the nicest of ways. Make it up to them and at the same time, celebrate coming back to life. I hope no one that reads this ever gets sick. If you, I hope you find these tips helpful, or at least fun. For me, its time to figure out the best time to get to New Mexico and start planning that next big trail run of mine… my inner animal needs to be let out for some trail rippin’ good time! This entry was posted in Commentary, Nutrition, Recovery and tagged health tips, sickness, trail running. Bookmark the permalink.